This morning we traveled from Cusco back to Lima. After our short one hour flight and checking back in at the Hotel Monte Real, the group took a tour of Lima. 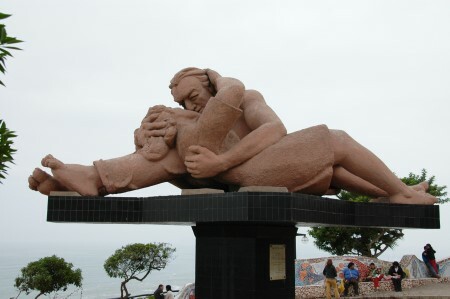 Our first stop was to Love Park where we looked at a statue titled "The Kiss" and enjoyed the view of the ocean. After leaving the park we took the bus to Huaca Pucllana where we saw a ancient archaeological site dating back 2000 years. This archaeological site was very interesting in a number of ways. The site is about a quarter of a mile long but located in the middle of the city. 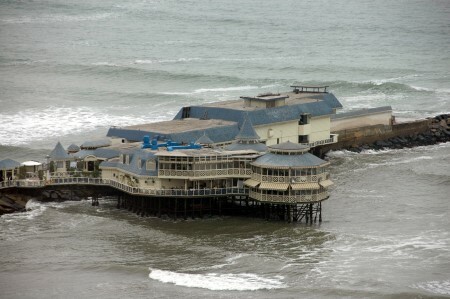 It's surrounded by modern buildings and some buildings were built directly on top of it. 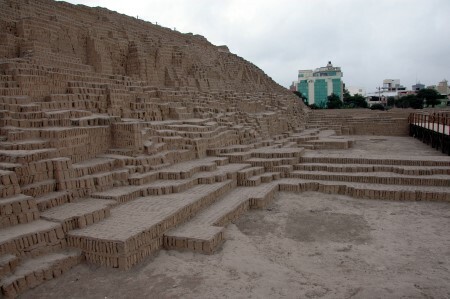 It's hard to describe what Huaca Pucllana really is other than a city of solid mud bricks. The entire site is nothing but mud bricks. 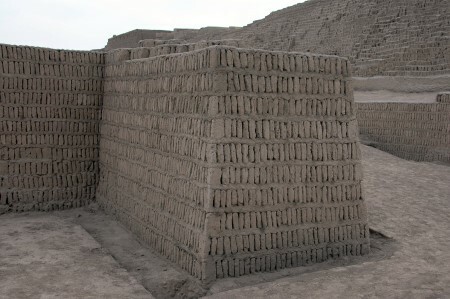 Rather than building the way we do now with support structures such as beams and walls affixed to the beams, at this site they made millions of mud bricks, stacked them vertically, added a layer on top of the bricks, then added more bricks. 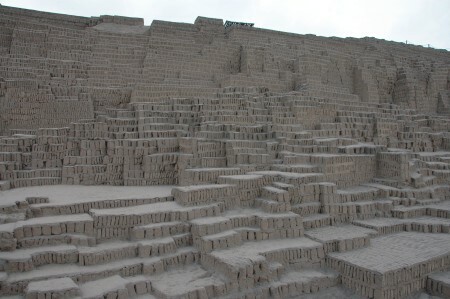 What's really amazing is that due to the lack of rainfall in Lima all of these mud bricks have lasted for over 2000 years. The next part of the tour was through downtown Lima past the Government Palace and many other official buildings. I was very impressed by the amount of exposed wood on the exterior buildings. We finally stopped at the Franciscan Monastery which I found to be the most interesting part of the tour, especially the library. They had books that were hundreds of years old sitting out in the open with no signs of decay. This is due to the very stable climate in Lima, where it never rains, yet stays at a constant humidity, perfectly preserving wood and paper. We then ended the tour with a tour of Casa Luna, the home of Javier and Eva Luna, who have an extensive collection of nativity scenes from around the world.